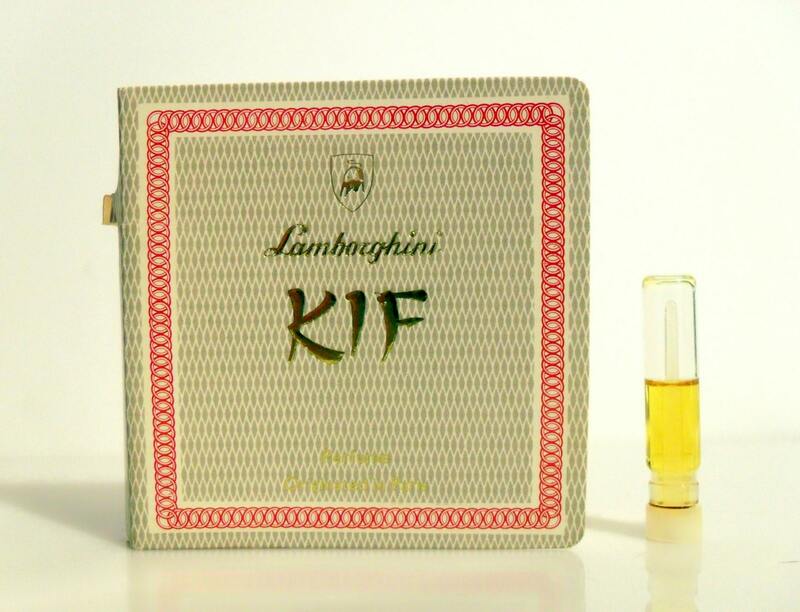 Vintage 1980s Kif by Tonino Lamborghini Parfum Splash Manufacturer's Sample Vial on Card. Launched in 1981, it is classified as an oriental fragrance for women. It begins with a spicy aldehydic top, followed by an exotic spicy floral heart, resting on a warm, balsamic base. A sensual mixture of florals, spices and rare oils. This is discontinued fragrance is extremely hard to find.